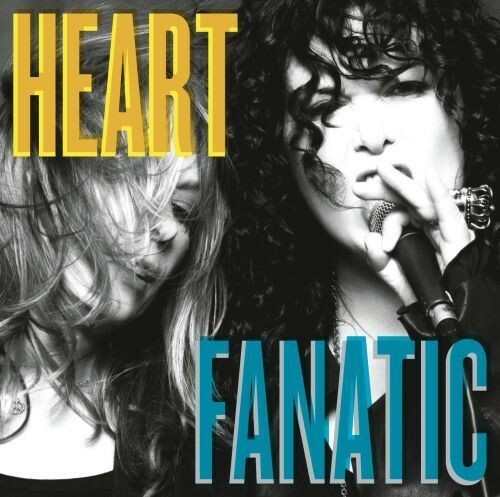 It's common knowledge that Heart's successful AOR period in the mid 80s was a direction forced upon them by their record company, and one that caused much unhappiness in the ranks. Unfortunately for them it's also the period where they sold the most records and most people's fond memories, especially in Europe, are of that time, making it harder for them to be accepted when going back to the folk-tinged classic rock that the Wilson sisters have always favoured. In recent years the excellent 'Jupiter's Darling' was greeted with some ambivalence and the most recent 'Red Velvet Car' was pretty much completely ignored, even by those of us brought up on 'Dreamboat Annie' and 'Dog & Butterfly'. Having lived with 'Fanatic' for a few weeks now, I can't see that trend changing. A little more upbeat and more electric guitar driven than their last release, 'Fanatic' has a loose and down-tuned vibe that won’t sit well with fans of a more melodic bent. It’s actually a shame because Ann’s soaring voice and mastery of the unique vocal melody is sometimes undone by the discordant guitar riffs of Craig Bartock and Nancy Wilson, even though most of the songs are very well written. Again produced by Ben Mink, the raw guitar sounds are balanced out by a string section on quite a lot of the album, working well on the gritty title track and the Zeppelin-ish rockers ‘Mashallah’ and ’59 Crunch’, with Ann doing her best Robert Plant wail. Similarly the rootsy rocker ‘Dear Old America’ has a lazy riff and frequent string flourishes, even breaking into a fast instrumental section in the middle before returning to the original groove. Elsewhere the acoustic-based Americana of ‘Walkin’ Good’ has Sarah McLachlan mixing with Ann and Nancy on some three-part harmonies that almost save the dull song, whilst the serene ‘Pennsylvania’ and ‘Rock Deep (Vancouver)’ are nice enough ballads in the style of very early Heart and the strings really do make a difference. After all I’ve said it’s perhaps odd that my favourite song ‘Million Miles’ has a techno thing going on with waves of loops and samples, whilst the deadly dull ‘Skin & Bones’ and laid-back ‘Corduroy Road’ make the filler tracks on ‘Jupiter’s Darling’ sound like classics. That Heart have done something that's daring and contemporary is commendable, but it only works in part, and despite the fact that there are several songs I really like, it's only the sheer blandness of its predecessor that prevents 'Fanatic' from being my least favourite Heart record.